See the best scenery in southern China and save! Your train trip starts at visiting cuddly pandas in Chengdu, and then go to the colorful Yunnan, riding through the Bai villages in Erhai, peaceful ancient town Lijiang as well as the snow-capped Mountains; Taking bullet train from Kunming to the Karst Paradise Guilin for more exploration. Arrival in Chengdu by flight. Pick up and transfer to hotel. 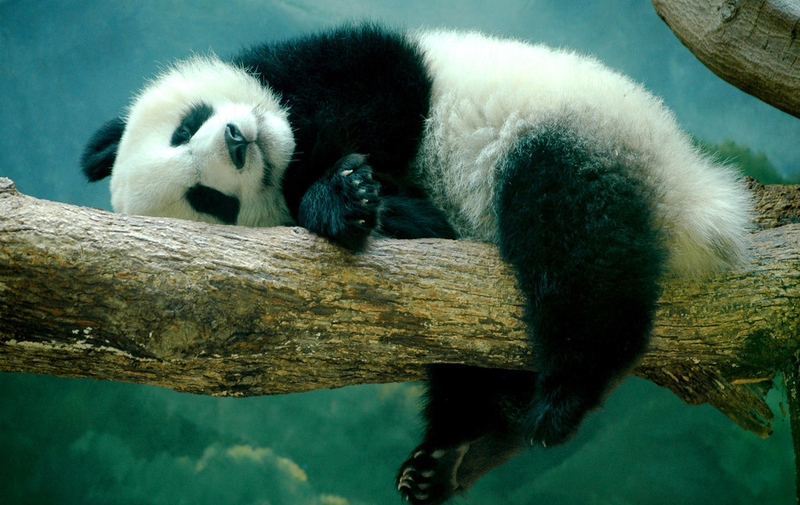 After breakfast, you will start today's tour with a visit to Chengdu Research and Breeding Center of Giant Panda. In the afternoon visit People’s Park to have some tea in local teahouse. Take a snack food tour at Jinli Old Street. 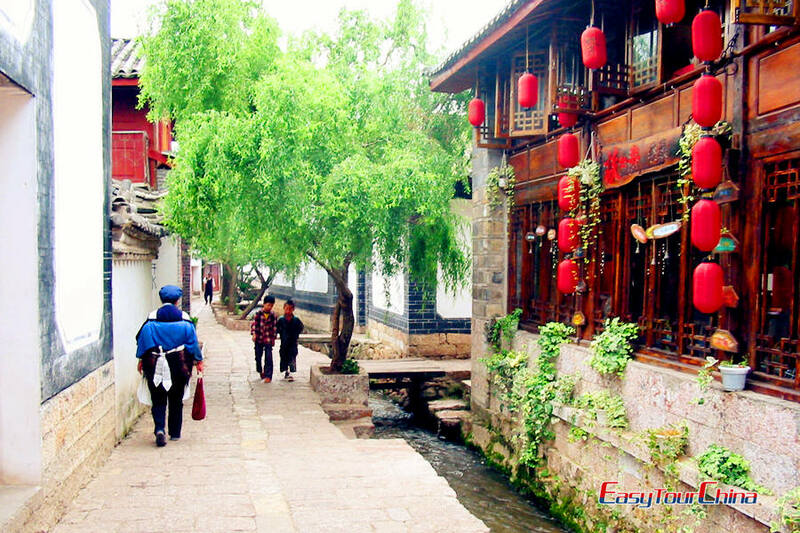 Take a flight to Lijiang in late morning, be met and transfer to hotel check in. 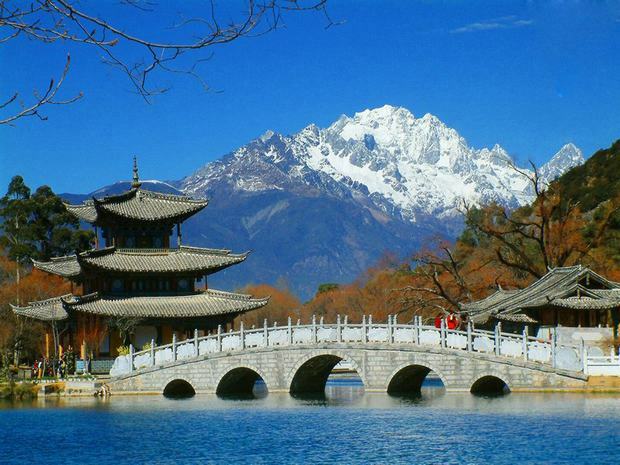 In the afternoon, visit Lijiang Ancient Town including a panaramic view of the whole town from the Lion Hill. Visit Black Dragon Pool (also called Jade Spring Park) and Dongba Museum. 4 Day 4 Visit Jade Dragon Snow Mountain, Yuhu Village, Shuhe Town, etc. Drive to visit Jade Dragon Snow Mountain, the holy mountain - 'God of Sanduo' of Naxi people. Take cable car to Yak Meadow. Then go to Yuhu Village, where the houses were made of a unique stone called monkey head by Naxi people. Visit Former Residence of Joseph Rock . At last, pay a visit to Shuhe Town, with an altitude of 2440 meters above sea level, it is a tranquil town with a population of about 3000 people. Take train to Dali in the morning (2hrs). 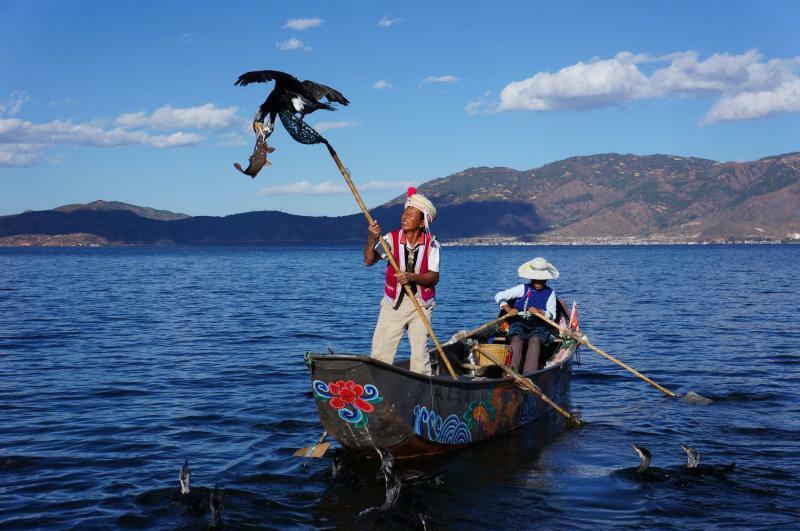 Be met and transfer to visit the Erhai Lake and surrounding fishing villages. With an altitude of 1972 meters above sea level, the Lake is a beautiful highland lake of Yunnan Province and one of the seven largest fresh water lakes in China. Later, explore Dali old Town. The town’s layout was uniform, with five main streets from south to north and eight main streets from east to west, while marketplaces were neatly arranged within the town, which has remained unchanged to this date. 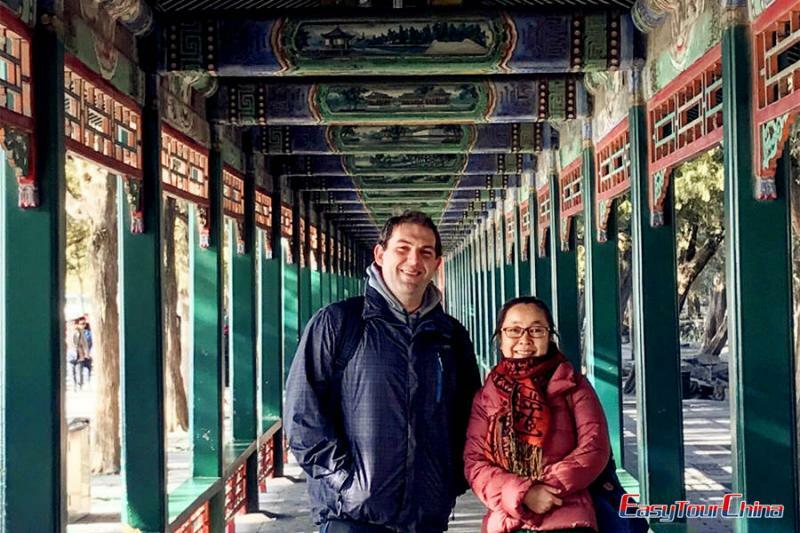 Visit morning market at Xizhou and then go for the traditional residential houses of Bai people – the houses with gray-green roof tiles, peculiar workshops, temples, schools and churches with antique flavor are scattered. Enjoy your free time before transfer to rail station. Take overnight train to Kunming (around 7hrs). 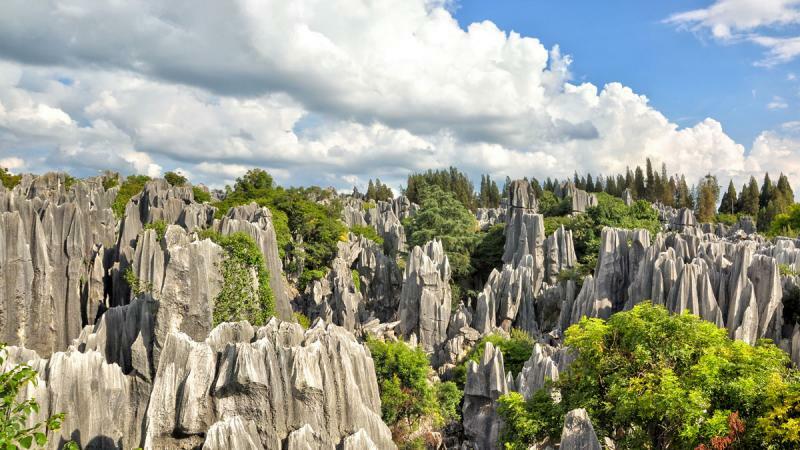 Pick up at train station, and transfer to visit Stone Forest, which is about 120 km from Kunming City and requires only a 1.5-hour drive. It covers an area of 400 square kilometers and includes both large and small forest as well as many other scenic spots. A visit to a minority village on the way where you can enjoy precipitous hills, beautiful lakes and an integration of the customs, religious and architecture of the 26 nationalities. Take a free walk at Old Streets, a historical and cultural area with old style buildings. Transfer to the train station and head for Guilin by speed train (8 hours). Arrive in Guilin in the afternoon. Pick up at the station and transfer to city center hotel. Free at leisure in rest of the day and central lakes is highly recommended. 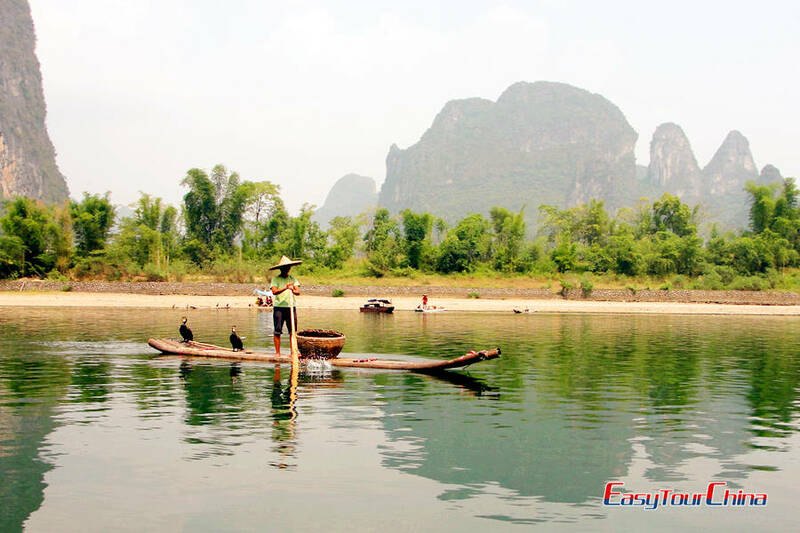 In the morning, take a Li River cruise leisurely. Bamboo groves, jagged, sharp-edged hills like broken teeth, a wide placid river and peaceful farm and village terrain are along the tour. By the end disembark at the beautiful small town Yangshuo, 65 kilometers to the southeast of Guilin, which is an internationally acclaimed tourist destination. Afternoon time is free for your own exploration. Wandering around the town to appreciate its great natural sights is ideal choices. At night, a stroll on the West Street is a must to experience wonderful nightlife of both Chinese and Western styles. Free time for your own exploration in Yangshuo. 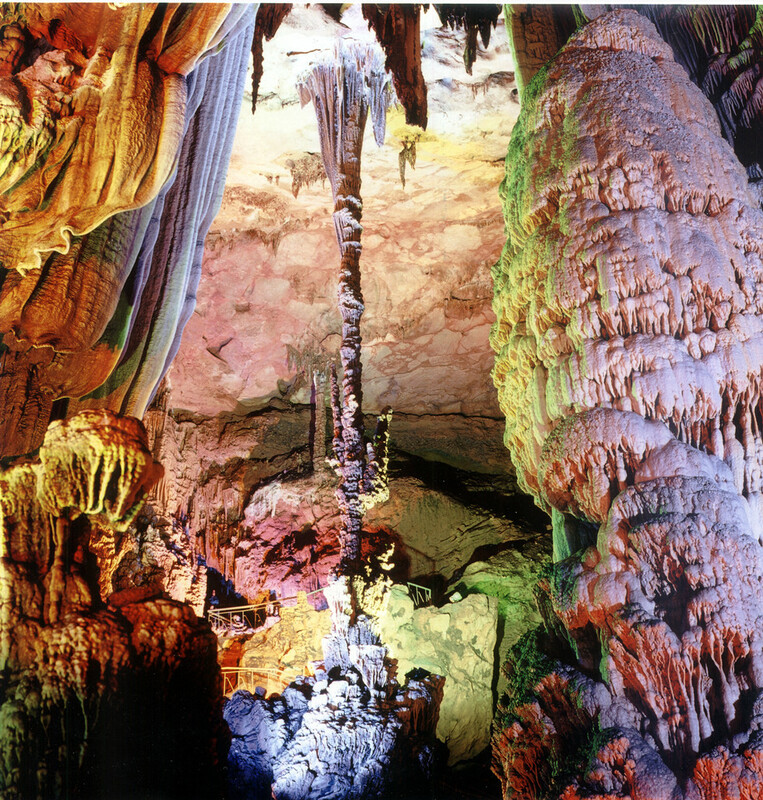 Transfer back to Guilin and visit Reed Flute Cave, and then take a high-speed train to Guangzhou. 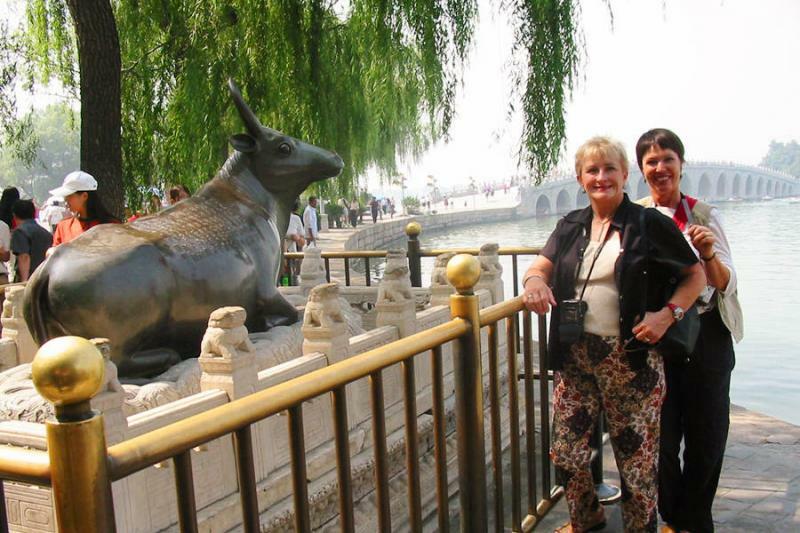 Upon arrival in Guangzhou, the guide will pick you up and transfer to the hotel. 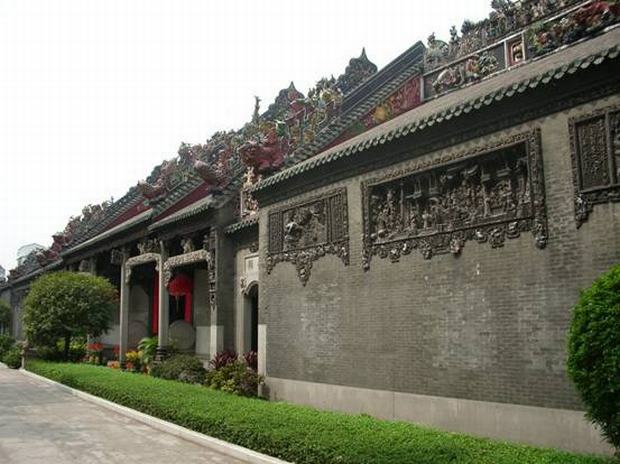 Visit Chen Family Temple - the largest, best preserved, and best decorated ancient architecture existing in Guangdong province. 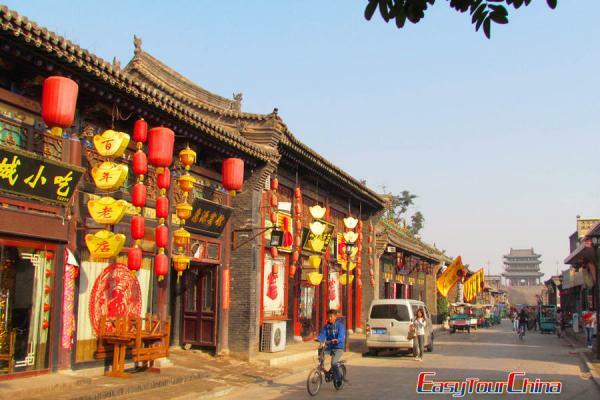 Then pay a visit to Xiguan Old Houses. Xiguan refers to Guangzhou's Liwan district. Liwan, the old district of Guangzhou is filled with local architecture, Cantonese Opera, ancient foreign trade as well as traditional Cantonese delicacies and morning tea. Visit Qingping Market which has over 2000 stall along 1-km-long Qingping Lu and Ti Yun Lu in the north of Shamian Island. At last, visit Shamian Island, the concession of Britain and France in 19th century is a famous historical sightseeing district and a historic reservation now.